Graph Tech Supercharger Kits combine several performance-enhancing products into one convenient package, including a set of String Saver Saddles, a precision slotted TUSQ XL nut, a set of TUSQ XL string trees, two grits of sandpaper to fine tune the fit of your nut and a Graph Tech guitar pick. This kit fits Nashville Telecaster and many Telecaster copies. String Saver Saddles are designed to enhance tone and dramatically reduce string breakage. They are impregnated with PTFE to ease the grip between the saddle and the string, spreading the stress over a greater portion of the string. They also give a more balanced tone than metal saddles, with sizzling highs, full mids and big open lows. String Saver Saddles are factory installed by Schecter Guitars, Fender Custom Shop, Reverend, TonePros, Carvin Guitars, Peavey, Sparrow, Tom Anderson, Godin, Warmoth Guitars and the Yamaha Custom Shop. 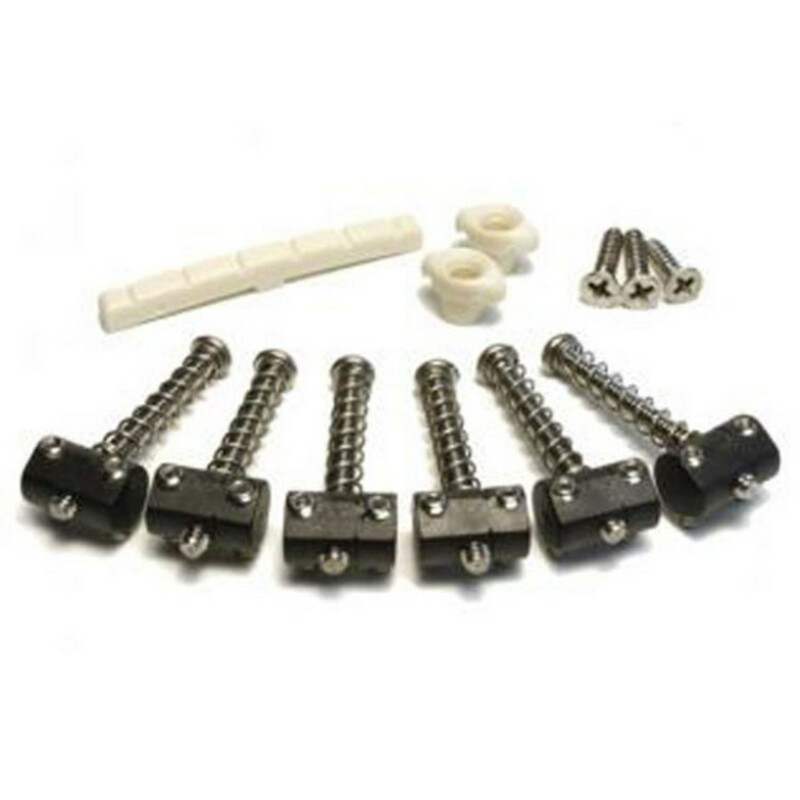 TUSQ XL nuts are based on the highly resonant TUSQ man made ivory, but are impregnated with PTFE to improve the tuning performance of the guitar. Unlike other nut materials, TUSQ XL does not bind the strings in their slots, helping to keep the guitar in tune when using a tremolo or doing string bends. It couples the strings' vibrations to the neck better than anything, adding more richness to every note, especially on open strings. The Supercharger Kit includes a slotted nut that requires only minor finishing for a perfect fit, and a set of TUSQ XL String Trees that help improve your tuning stability and keep your guitar looking great.